Is Garlic an Herb, Spice, Vegetable, or Something Else Entirely? One of the most important ingredients in all of the culinary arts, garlic nevertheless seems to defy (or transcend) attempts to define it in any but the most literal terms. In that sense, then, garlic, like onions, shallots, and leeks, is a member of the lily family. Its intense and unique flavor and aroma make it a mainstay of cuisines around the world, a nearly indispensable ingredient in just about every form of Asian, European, African, Latin American and North American cooking. Garlic grows underground in the form of a bulb. Its long green shoots produce flower stalks called scapes, which can be eaten. Covered in an inedible papery skin, the bulb, or head, is comprised of individual sections called cloves. These cloves are themselves enclosed in a paperlike skin, and the pale yellowish flesh within is the part of the garlic that is used in cooking. 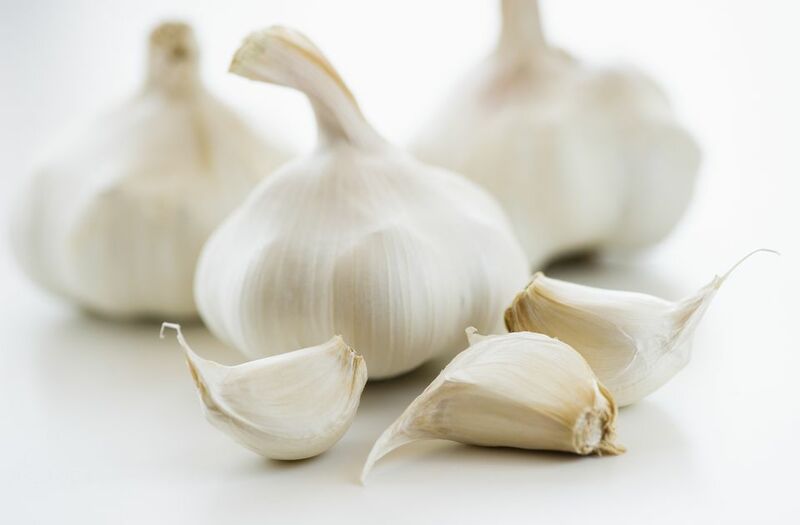 When eaten raw, garlic has a powerful, pungent flavor. For that reason, it's customary to cook it in some way before serving it, which mellows the flavor considerably. It's generally used as a flavoring ingredient in recipes rather than as the main ingredient itself, although roasted garlic can be eaten as a spread or condiment. Like its cousin the onion, garlic contains a sulfur-based enzyme, which is stored in tiny cells within its flesh. Slicing or crushing the garlic ruptures those cells, releasing the pungent chemical. Unlike onions, which produce this enzyme in a form that allows it to become airborne, the compound in garlic is only transferred via direct contact. That's why onions irritate your eyes when you slice them, but garlic doesn't. Still, if you get garlic juice on your fingers, it's easy to transfer it to your eyes, and you'll have the same problem. Crucially, however, the more you slice, pound, grate or chop your garlic, the more of that compound, called allicin, is released. Therefore, if you grate your garlic using the small holes on a box grater, or purée it in a food processor, your garlic will be much more pungent than if it were sliced. This is useful to keep in mind when you're thinking of saving time by tossing those garlic cloves into the Cuisinart. Therefore, if for some reason you want to mince garlic without a knife, pressing the cloves with the tines of a fork will produce better results than a grater or food processor. There is probably no end to the uses and potential uses of garlic in the culinary arts. It can be added to dishes that are sautéed, baked, roasted, braised; added to soups, sauces, marinades, spice rubs, stir-frys; minced and used in sausages, meatballs, and other ground meat preparations. So, what is garlic? Is it an herb? A spice? The truth is, it's neither. The word herb denotes something green, whether the leaves or stems of some sort of plant. The word spice indicates any other item, including roots, bark, seeds and so on, but specifically in the dried form. Garlic doesn't fit either one of those categories. So it's probably most accurate to call garlic a vegetable, even though it's hardly ever eaten on its own. In this sense, garlic is most similar to onions and shallots, although ultimately garlic belongs in a category all its own. Where Does Dijon Mustard Get Its Name?